Why are you paying retail for your e-liquids and vape supplies? $3.99 FLAT SHIPPING on all orders! 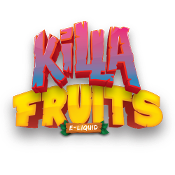 PLEASE go to GOOGLE and search "FORT VAPE"
"KILLA FRUITS" 100ml e-liquid! 60ml "CLOUDWALKER" (MaxVG) FLASH SALE MIDWEST CLOUD Co. e-liquids! 120ml ETHOS VAPORS Candy Flavors Flash Sale!!! NAKED 100 premium e-liquid by USA Vape Labs! We carry a COMPLETE (and made by us) line of E-Liquids (E-Juices). Our E-Liquids are all mixed fresh with the highest quality food grade Propylene Glycol (PG), Vegetable Glycerine (VG) and food grade natural and artificial flavorings. VG and PG are both USP and Kosher Certified (USP grade). All components are chemically certified to be the purest possible.